Do you remember when Donald Trump was elected president, approximately 37 months ago? As soon as the shock began to wear off, a consensus developed, one with which all thinking people could agree: we were living in a post-fact era, apparently for the first time. The problem was Fake News. The internet allowed any plebeian to string together their own dumb data points and put together a faulty narrative — about Benghazi, Rosatom, the Clinton Global Initiative — and think they were hot on the trail of the truth. They — these damn Trumpkins — would cling to their shaky stories against all odds. The strength of their bad narratives allowed them to deny the objective reality of the universe — the painful reality, for them — which everyone else could see clearly. Now, just 37 months later, a huge number of people, primarily Democratic partisans, have come to agree on a new objective reality. They, the president, the entire free world, have become pawns, in a vicious game orchestrated by the puppetmaster himself, Ernst Stavro Blofeld with pecs, Vladimir Putin. Strange things are afoot, as corroborated by many notable internet sources, like AddictingInfo and OccupyShareBlueMemes. The president gets off on piss play with strange Slavic women in hotel rooms full of Kremlin-owned imaging equipment. Russia is assassinating all the people who might have known. Members of a presidential campaign met with an ambassador from another world power — can you believe that? Perhaps many members of Congress, instead of being self-serving immoral hacks as is tradition, have been blackmailed by Putin too. The Spetsnaz is around the corner, lunching at Le Diplomate. It’s all very frightening. The necessary caveats have to go somewhere, so here they are. Slavghazi isn’t manufactured. It has substance. There’s a lot that’s shady about Trump’s relationship with Russia and foreign powers in general, particularly in regards to his pre-campaign business deals. That’s great investigation fodder, and it makes all the sense in the world for Democrats in Congress to go nuts with that. Trump’s people have acted incredibly stupidly, and they keep tripping over themselves, which is great. The administration is filled with shady characters with, probably, lots to hide. And when the public pressure claims a scalp, like it did with the deranged Michael Flynn, there’s a chance we get somebody a little better, though how much that means in the long run is unclear to me. All this is true even if Slavghazi bears fruit, which is to say — let’s set the Steele dossier aside for a second — that if we discover Paul Manafort or others coordinated with the Russian government to hack the DNC, it would still be deeply depressing how this story has developed. Hell, it would be depressing even if the piss tape turns out to be real, because it’s a sign, combined with what happened last year, of our collective future, and the way the internet continues to melt our brains even more. A few weeks ago, Vanity Fair’s James Wolcott, esteemed man of letters, wrote a guide for the uninitiated about how to educate yourself on the scandal. The article itself is very silly, but the frame of the piece is revealing. In his wind-up, Wolcott compares the feeling of the present moment to his memories of Watergate. Back then, he’d run to the newsstand in the very early morning to pick up the overnight edition of the Daily News, so insistent he was on getting every detail as it came. He writes that “Watergate developments — the daily cascade of revelations spoked with official denials and the uncovering of new sinister characters — took on a beastly life of its own, a dragon energy teeming with dots crying to be connected.” He feels that same charge and excitement now. Human brains run on narratives, and narratives are chains of connected dots. The “dragon energy” Wolcott describes is real and extremely powerful. What he doesn’t reflect on is that it’s that same feeling that propels Pizzagate investigators. The zeal to discover hidden narratives and repressed truths can be a great and powerful thing, but just as often, if not more often, it leads people down weird and damaging paths, away from the truth and not toward it. It’s what Woodward and Bernstein felt, but so is it the thing that forms the flat earth community. And that risk is multiplied by the way information flows on the internet, from person to person. Watergate, in popular lore, remains the high water mark of journalisming, a big scalp taken at a time when every city had strong newspapers, reporters could afford car payments, and Mark Zuckerberg had never drawn breath. In the golden age that Wolcott is remembering, the narratives were built in large part by newspaper reporters. But “now we have Twitter, which amps up the volume and velocity even more,” he says. To keep up, Wolcott recommends following seven Twitter accounts to get the very latest info. The conceit is that the accounts in question will filter correct reporting and insightful theories to the reader. Who are these new citizen journalists? One is a hacker who goes by the twitter handle @th3j35t3r, who describes himself as a “Cyber Minuteman,” and pretends to be anonymous but touts his Mr. Robot cameo in his bio. So far, so good. Then there’s Louise Mensch, a former Conservative MP who, before last year, was mostly notable to her American social media audience for repeatedly tripping on rakes and faceplanting into banana pies. I say that with no malice. 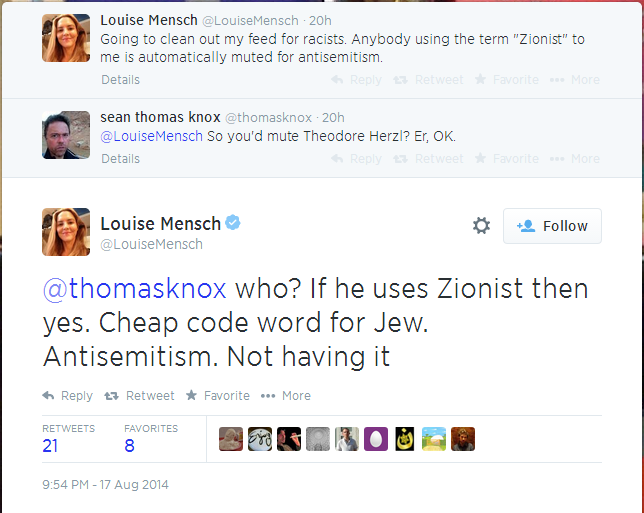 I love Louise Mensch. There’s no greater talent in the universe when it comes to being unintentionally funny. But the arrival and acceptance of Mensch as a sage investigative reporter on the American scene, getting scoops no one else can, is one of the greatest cosmic jokes I could have imagined in 2014, alongside Donald Trump winning the White House. Twitter is used by a vanishingly small number of Americans, particularly to talk about politics. But the conversation that takes place there, because so many powerful and influential people use it, is important in shaping the conversation that takes place about politics in other mediums. And the figures driving the conversation on Slavghazi, at least for the true believers, are people like Mensch and Schindler, along with other oddballs like the amphetamine-powered Eric Garland and ever-more Cassandra-like Sarah Kendzior, who are encouraged and endorsed by actual, influential people in the media and politics. 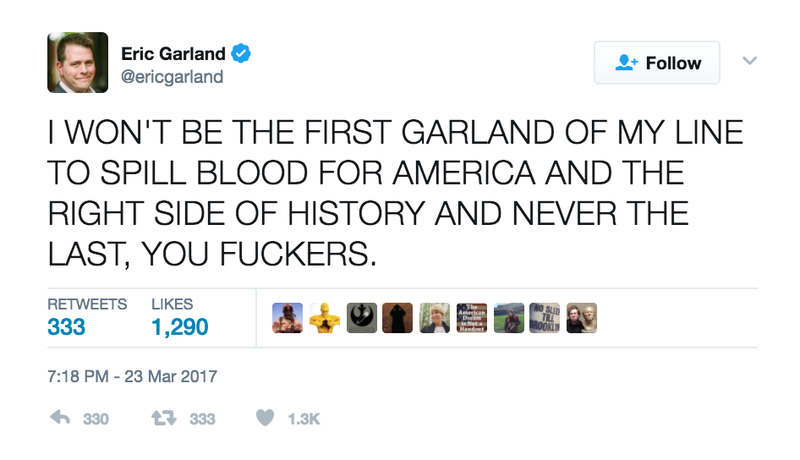 Democratic partisans are being taken in by these people for a simple reason. They want a silver bullet that takes out Trump and undoes the 2016 election, just like conservatives thought the birth certificate would take out Obama and undo the 2008 election. Some — not many, but a few — even think Clinton will somehow be appointed to the presidency if the election is declared “illegitimate,” or if it is redone, or that both Trump and Pence and maybe Paul Ryan and Rex Tillerson and Orrin Hatch, all in the line of succession, will somehow be found complicit and removed too. They’re all traitors, aren’t they? Could Trump get impeached, for this or anything else? Sure. That’s one way this scandal could unfold. Another is that some politically damaging stuff is found, but not enough, and that the Russia furor slows down and we’re left with Trump to fill out his first term and, it is still possible, a second one. In that case, the battle is for seats in Congress, and it’s not clear to me that this is a significant issue for most voters.